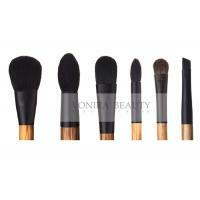 The professional brush is made of synthetic bristles. 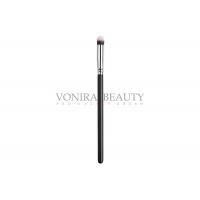 This brush allows you to perfectly apply cream or liquid concealer in the eye area, the wings of the nose, and also mask redness. 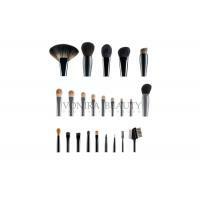 Brush perfectly distributes concealer and tonal tool. 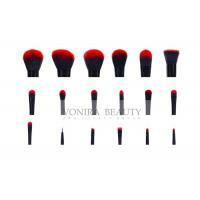 Allows you to accurately apply and gently feather the product. 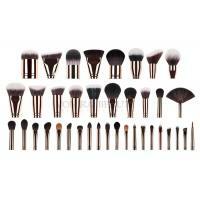 Can also be used for cream shades. 1. Hair: exquisite quality uncut nature hair that gently and evenly apply make-up onto delicate skin. 2. Ferrule: strong alloy material to ensure durability and tight holding between hair and handle, giving stability in motion. 3. Handle: genuine wood handle with six times lacquered finishing, providing you control and effortless application in use. 4. 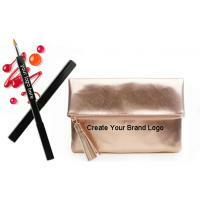 Reusable professional bag to organize and protect the brushes also can used to carry makeup products. 5. 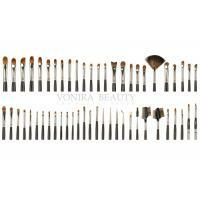 Each brush and belt are carefully made by skilled craftsmen using advanced manufacturing techniques. • There is a one-time fee(emboss way 40USD each mould size; silk printing 20USD each logo mould size) for us to produce your logo film and dye plates. Note: Your order may require multiple moulds fee due to different component sizes. Please note: your order may require multiple set ups due to different component sizes. Bulk order or lager order printing cost in our offer unit cost will cover for you! 6. Duplication from other models are also available. 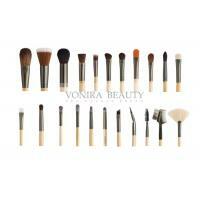 The bristles on makeup brushes come in one of three forms: natural, synthetic, or hybrid. 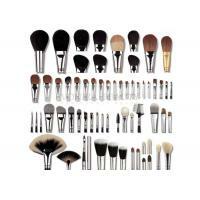 You may find sets that include brushes made of one type of bristle, or a mix of each. 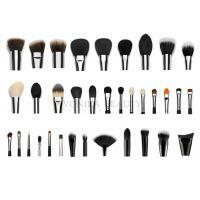 That mix is usually by design, since each type of bristle lends itself to a specific type of makeup. 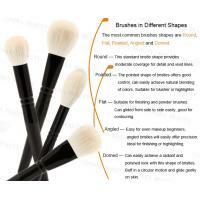 Made from real animal hair, natural bristles have a porous structure that makes them perfect for picking up color from powder cosmetics, but they’re not as ideal for cream and liquid products. Because synthetic bristles aren’t as absorbent as their natural counterparts, cream blushes and liquid foundation won’t get trapped their bristles, and they blend eyeshadow and other cosmetics to a natural finish without removing much color. 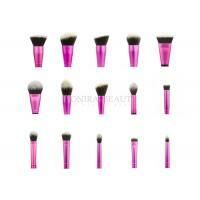 They’re still no match for natural bristles when it comes to applying powders. You can often spot hybrid brushes by their telltale two-tone design, as each individual bristle in is made of both natural animal hair and synthetic material. Combining these two materials creates a versatile tool that lends itself to applying and blending virtually any type of makeup.